Home > Magazine > Features > Rekha Pallath’s "Nasha"
You are born in a family of trained Carnatic singers. 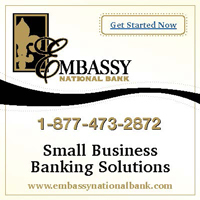 You are also blessed with a voice that has a range from soft and sultry to energetic and resonant. How long will you remain confined in a cubicle programming software? Or singing casually at parties? Not long, as Atlanta singer Rekha Pallath shows. Rekha says she has been singing from as far back in her childhood as she can recall. Her mother ensured that she got proper training in Carnatic music. Since music was an integral part of her family, the goal of her classical training was never necessarily a career in music. “It was simply a medium to connect spiritually with the divine,” she says. Entertaining audiences in Atlanta. 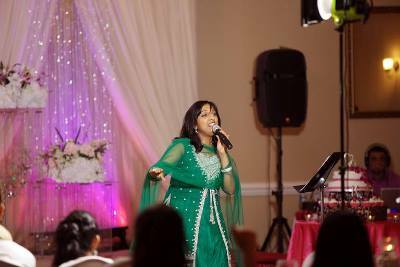 The multilingual and versatile singer frequently performs at nonprofit and other events. Besides her childhood training, Rekha in recent years has continued to polish her singing with lessons from the Pandit Jasraj School of Music and the Shankar Mahadevan Academy. She has also received Western voice coaching from renowned vocal coach Tricia Grey. And keep singing she has. Rekha is popular in the Atlanta Indian pop music fraternity. Being multilingual makes her quite versatile: she sings in Hindi, English, Kannada, Marathi, Gujarati, Telugu, Tamil, Bengali, Punjabi, and Sindhi, and has performed at various charity shows organized by IACA, Ekal Vidyalaya, Raksha, Senior Citizens, and others. 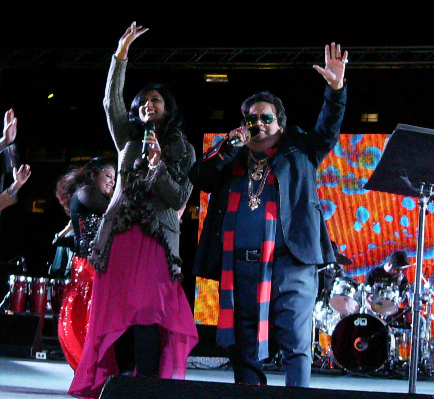 Singing live with flamboyant music director Bappi Lahiri at a concert in Dallas, Texas. It is this popularity that led Mustafa Ajmeri, the well-connected rainmaker in Indian show business, to recommend her when Bappi Lahiri recently sought a female vocalist to accompany him in his live show in Dallas. Rekha now proudly claims the milestone of having sung live with this veteran but evergreen musician of the Indian screen. The accomplishment came on the heels of another credit: Veer Samarth, the Kannada composer, picked Rekha as playback singer for the lead character in the film Software Ganda (Software Husband). While she seems set to go places with her singing, Rekha is not simply depending on lucky breaks, but is actively pursuing her passion. “Singer-songwriter” has an appealing ring to it, and this wordsmith is just that for her new album, Nasha (“Intoxication”). Explaining her bent for words, she says, “I am always researching and writing new material for comedy in my shows. I also write poetry. I have written all the songs for Nasha. I express my thoughts and sentiments through my poetry and songs.” She hopes to complete this album by the end of 2015. Here are two of Rekha’s original song compositions from her album Nasha—a work that is still in progress, and expected to be completed by the end of 2015.